BMW Art Talk titled “The Art of Patronage”. The BMW Group, partner of Kochi-Muziris Biennale (KMB) since its first edition in 2012, decided to extend the cooperation for further three Biennales. This year’s edition of KMB will take place from December 12, 2016, to March 29, 2017, in 9 venues spread across Fort Kochi. Maintaining its unique character of being led by artist-curators, the KMB 2016 will showcase 112 art works of 97 artists from 36 countries. KMB 2016 is curated by internationally renowned artist Sudarshan Shetty. He is the first Indian artist to join the Rolls-Royce Art Programme, which was on show in Mumbai this November. Frank Schloeder, President (act. ), BMW Group India: “Right from it’s inception cultural engagement has been an integral part of BMW Group India. As an active partner, BMW Group has been promoting creative exchanges between cultures, people and within the company. Since 2012 BMW has enlarged it's cultural engagement in India by fostering a long-term commitment and partnership with Kochi-Muziris Biennale, enabling it to be a world-class platform for the showcase of contemporary art. Starting at 9 AM on the morning of the opening on December 12, the BMW Art Talk was thus being held at Fort Kochi in the presence of Feroze Gujral (patron – Kochi Biennale Foundation, philanthropist, co-founder-Gujral Foundation),Dr Venu V (IAS, Principal Secretary, Kerala Tourism, Government of Kerala), Dayanita Singh (photographer), and Dr Thomas Girst (Head of BMW Group Cultural Engagement on the topic of “The Art of Patronage”. 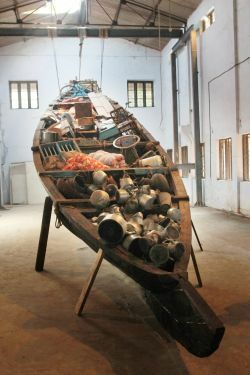 Founded and curated by two of India’s leading artists, Bose Krishnamachari and Riyas Komu, the Kochi-Muziris Biennale is a project in appreciation of, and an education about, artistic expression and its relationship with society. 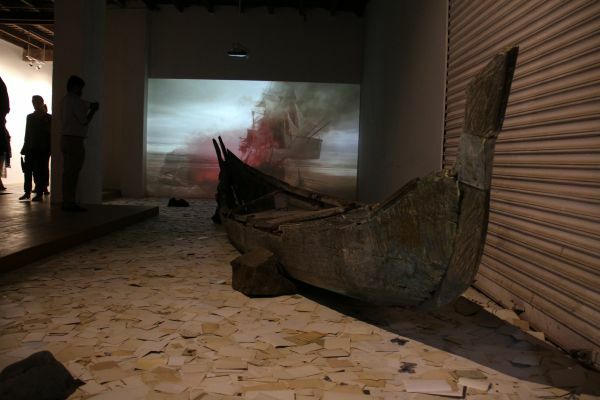 The Kochi-Muziris Biennale intends to create not only a platform for contemporary art in India but also to provide a platform for social change. In addition, the Kochi Biennale Foundation sees it as its mission to function as a catalyst for subjects such as sustainability and urban development. Shetty’s art practice has evolved over three decades from being centred on painting to multi-media explorations that include sculpture, video, performance and installation. Experimenting with scale and motion, Shetty’s works frequently involve bringing together heterogeneous world of objects, creating a sensation of strangeness and novelty in what previously familiar. To date, his works have been included in solo and group exhibitions in India and abroad, including at the Gwangju Biennale (2000), Tate Modern, London (2001), Fukuoka Asian Art Museum (2001), Centre Pompidou, Paris (2011), Guggenheim Museum, New York (2010), and Kochi-Muziris Biennale (2012). Shetty is the first Indian artist to join the Rolls-Royce Art Programme and this commission has enabled him to explore new dimensions of his work, including an in-depth exploration of new methods of filming. The commission takes inspiration from a popular South Indian folk tale that is an allegory for artistic expression and the importance of creativity (titled: “A Story a Song”). Art and creative endeavours are at the heart of Rolls-Royce and its motor cars are commissioned for their aesthetic power. They are created out of the finest materials at the hands of skilled artisans who, in turn, produce unique, distinctive and ultimately beautiful automobiles. By creating the Art Programme, Rolls-Royce formally acknowledged this unique ethos it shares with the world of art. The Rolls-Royce Art Programme comprises new works commissioned in situ, partnerships with leading organisations, art talks with emerging and established artists, art drives, art walks and art receptions around the world. It fosters creativity and enables artists to realise new projects and to explore new areas of their practice. To date, Rolls-Royce has worked with leading international artists and key figures from the contemporary art world including Isaac Julien, Ana Maria Tavares, Morgan Wong, Carlos Rolón/Dzine, Angela Bulloch, Ugo Rondinone, Michael Zavros, Regina Silveira and Will Cotton. Rolls-Royce recently announced collaborations with Mohammed Kazem, Sudarshan Shetty and Yang Fudong.